This summer we stayed a few weeks with our friends Rob and Annet. Rob Crispijn is a song writer. 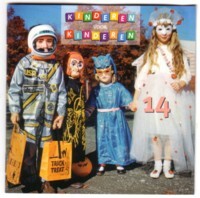 Among many other things, he writes songs for the CD’s called Kinderen voor kinderen . I have a theory that punk was mainly a reaction upon the stupid songs that children of my generation had to grow up with. Especially those choirs of children singing stupid songs in painful high tones, with the surreal diction of robots, accompanied by an organ, must have caused lots of anger in children. I only have to think of some of the records in my collection to feel that anger again. 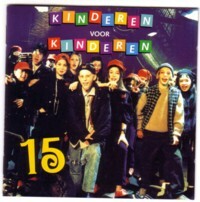 Somewhere in the eighties somebody in Holland came up with the brilliant idea to make some better records for children. He or she asked some of the best song writers to write some songs about subjects that really matter to children in the age between 10 and 14. Not so brilliant was the idea to let children sing these songs. There are a few exceptions, but generally I hate to listen to singing children, especially when there are more of them singing at the same time. 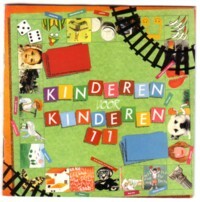 Nevertheless, the first LP in this project (called Kinderen voor kinderen by the way) a huge success, and since then there has been at least 20 volumes made with the same concept. Some children on Kinderen voor kinderen sing quite okay. But quite okay is not good enough for me. Many of the songs are so good that I wish that they had recorded it with real singers, with some soul in her/his voice. 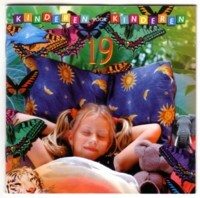 When Rob saw our daughter’s reaction when she saw the pile of Kinderen voor kinderen CD’s on his desk, he immediately gave the CD’s to her. We already had some of the CD’s and LP’s in the series, but now we have the complete collection. Another half a meter CD’s that nobody listens to. We also have the Greatest Hits compilations that were made of this series, and they are all that are played here at home. Haha, very recognizable. I never could stand “Kinderen voor kinderen”. I never imagined the songs being sung by adults, however, interesting idea!